Donald Trump and Hillary Clinton aren't the only presidential candidates inspiring "likes" or "angry faces" on your Facebook feed. With less than three months until the general election, the conversation around third-party candidates has dramatically risen on Facebook. Facebook and Mashable looked at the level of conversation about Libertarian Party candidate Gary Johnson and Green Party candidate Jill Stein since May and found that in the last month related posts have reached unprecedented heights. Between July 10 and Aug. 9, 4.3 million U.S. Facebook users who are 18 or older have garnered 27.6 million interactions — likes, comments, posts and shares — related to Johnson. About 2.8 million people generated 16.1 million interactions related to Stein. That's a steep climb from the 15,247 and 15,812 people talking about Johnson and Stein, respectively, back on May 2. The greatest spike in conversation occurred on July 26 and 27, timed with the Democratic National Convention in Philadelphia. On July 26, 484,615 people generated 1,440,818 interactions related to Johnson while 461,314 people generated 1.3 million interactions related to Stein. Both Johnson and Stein attended the DNC and made splashes in an effort to lure voters. For instance, Johnson sat at Facebook's booth and interviewed with Reason magazine. Stein gave several speeches, including one at a rally held by Black Men for Bernie. 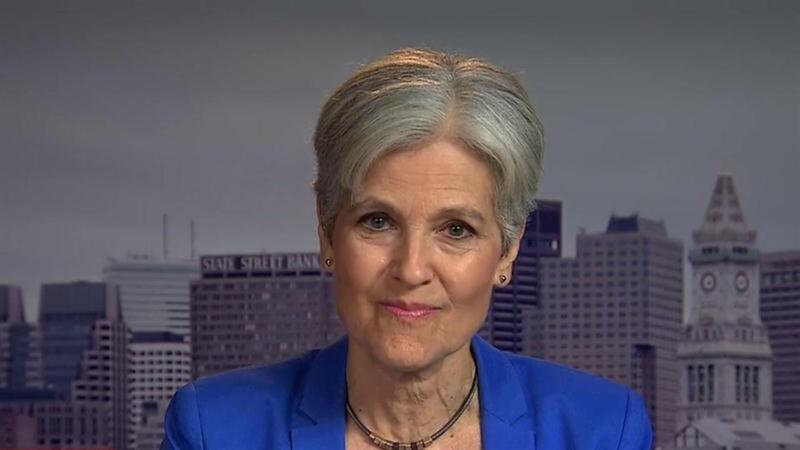 Prior to the RNC, where the second highest spike occurred, Stein referred to herself as the "plan B for Bernie Sanders" in an interview with NPR, which may have contributed to her overtaking Johnson. The last month's conversation level pales in comparison to Trump and Clinton. From July 10 to Aug. 9, 49.4 million people were discussing Trump on Facebook and generating 640.1 million interactions. For Clinton, it was 40.9 million people generated 452.5 million interactions. Overall, more than 100 million people in the U.S. have discussed the presidential election on Facebook. The social network has 205 million users in the U.S. so that translates to about half of their audience. The data Facebook by provided does not include sentiment from users. But the trajectory upwards in conversation for third-party candidates aligns with rising interest in the polls for Johnson. He reached 10 percent in an average of the ABC News/Washington Post, CBS News/New York Times, CNN, Fox News and NBC News/Wall Street Journal polls. Breaking the Facebook conversation down state-by-state over the last month, Johnson is leading over Stein in nearly every state except California, DC, New York, Oregon and Vermont. Johnson's dominance in conversation level over Stein is the strongest in Alabama, New Mexico (where he was a Republican governor from 1995 to 2003), Oklahoma and Utah. Stein, who has stayed below 5 percent in recent polls, will have a chance to pitch her campaign on national TV Wednesday night. The nominee and her running mate Ajamu Baraka will be on CNN for an hour-long town hall.